I personally find it ironic that the word chosen by IESO is Danish. 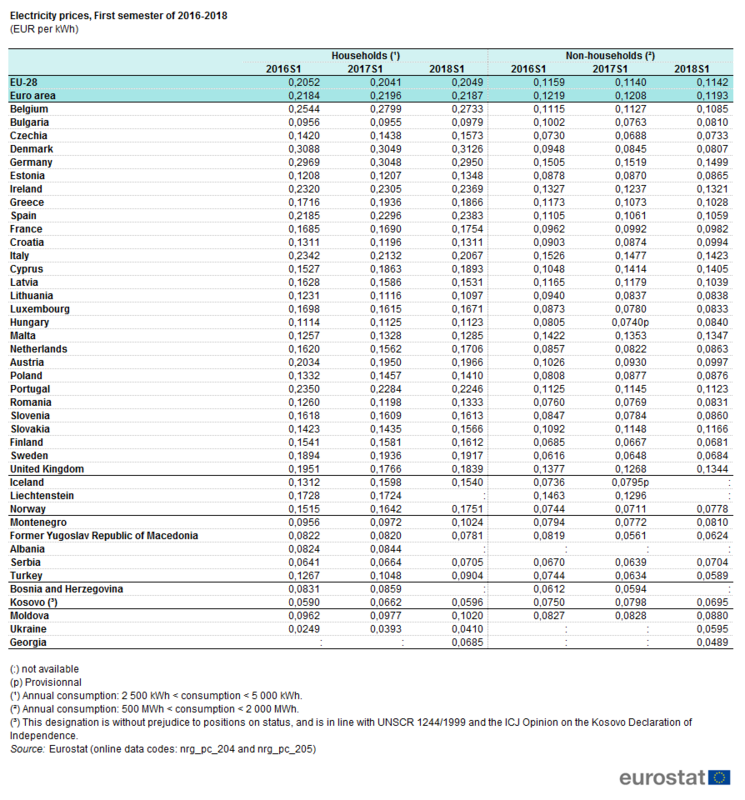 Denmark is where electricity prices for residential homes is the most expensive in Europe* at EURO per kWh of 0.3126 or Canadian 0.48 cents per kWh. Doesn’t that make all Ontario residents feel cosy! Denmark is home to VESTAS and their product line is exclusively wind turbines. Vestas employs over 24,000 people which makes them one of the 10 largest employers in the country. Vestas’s website claim they have installed 97 GW (97,000 MW) of industrial wind turbines (IWT) globally. All those noise-emitting, bird- and bat-killing, intermittent and unreliable wind turbines might make the Danes “cosy” but somehow I doubt it, with the price they are paying for electricity. The IESO post suggests we: turn off the phone, unplug appliances and devices, eat comfort food and use energy-efficient cooking methods like a pressure cooker! ** The message to the reader goes on to suggest pulling on wool socks and using our favourite blanket to get cosy and then to “get lost in the moment” by reading our favourite book! IESO should stop the wasted spending on conservation efforts of this ilk. Does IESO not understand we are all billed monthly for our cost of electricity usage and have been doing our best to “stay cosy”? For many it has been an effort to simply avoid energy poverty. Stop lecturing us, stop wasting our money and focus your efforts on managing the grid in a manner that will reduce the costs of electricity. *Demark has the highest prices for residential electricity out of 41 European countries listed by Eurostat. **Full disclosure—my wife’s pressure cooker recently blew up and created a mess in our kitchen which we now must repair. Using a “private prosecution,” Wind Concerns Ontario has served the Honourable Chris Ballard, Minister of MOECC with a summons for violating the EPA (Environment Protection Act). The issue is related to the lack of proper follow-up on the thousands of noise complaints filed by individuals throughout the province in locations where industrial wind turbines have been erected. The complaints date back to 2006 and have continued without any significant attention from the Ministry and have even caused families to abandon their homes in order to seek relief from the noise effects. Mr Ballard has been Environment Minister since August 2017, and complaints have continued, without resolution. How much does wind power cost us? Being asked to do a presentation at Wind Concerns Ontario’s annual conference this past Saturday to describe the costs associated with industrial wind turbines was something I relished! The presentation I developed used IESO information for 2017. Discovered in the preparation of my presentation was the fact that nuclear and hydro power alone could have supplied over 100% of all grid-connected consumption for 2017, at a average cost of about 5.9 cents per kilowatt hour. The cost for Class B ratepayers in 2017 however, was almost double, coming in at 11.55 cents per kwh. So why the big jump? Have a look at the presentation to see why and look at Slide 6 in particular where you get an inkling of how IESO views the reliability of industrial wind generation in their forward planning process! Author parkergallantenergyperspectivesblogPosted on March 5, 2018 March 13, 2018 Categories electricity bills, energy policy, hydro bills, wind energyTags IESO, Ontario electricity costs, Ontario hydro Bills, Wind Concerns Ontario, wind energy, wind farms, wind power, wind turbines4 Comments on How much does wind power cost us? A simple Google search “wind power is cheapest energy” will generate 1.2 million hits. If you search “wind power is most expensive energy” you get 2.1 million hits. Two days last week in Ontario are real-world proof of the cost of wind power, no matter what the government or wind power industry spin tells you. Tuesday, December 5th and Wednesday December 6th were two very windy days, an excellent opportunity to examine both the power generation from industrial wind turbines in Ontario and their delivered cost of power to the grid. $$$ IESO forecasts indicated that wind could have delivered 23.8% (177,100 MWh) of total Ontario demand (755,200 MWh) via the 4,200 MW of grid-connected wind capacity. But wind turbines have a bad habit of generating power when it’s not needed (middle of the night, spring and fall) so the intermittent power must often be curtailed (constrained/wasted but paid for). It was! $$$ The IESO curtailed 41.8% of their forecast generation meaning 74,000 MWh were not used! Via the contracts in place with wind power companies, IESO is obliged to pay for both delivered and curtailed power at prices for grid-accepted power at $135/MWh and $120/MWh for curtailed power. $$$ Quick math: the cost for grid-accepted wind on those two days meant Ontario ratepayers got charged approximately $22.8 million or $221.14/MWh for grid-accepted wind. That means it cost ratepayers 22.11cents/kWh (kilowatt hour), well above what the average time-of-use rates would be for the average Ontario ratepayer! The cost of the delivered wind power for those two days was almost three times the current levied* “average” cost of 8.22 cents/kWh, and 3.7 times the off-peak cost of 5.9 cents/kWh. There’s more (sorry): be assured IESO instructed OPG to spill water over the hydro dams and Bruce Nuclear to steam off nuclear power — so power from our two reliable, emissions-free sources of power generation was also wasted. OPG and Bruce will be paid for that waste and the cost will be added to our bills. At the same time gas plants (backing up wind and solar) were being paid for idling. Those two December days also saw sales of surplus power of 93,700 MWh to our neighbours in New York, Michigan, and others for pennies of the actual cost. In all probability, we recovered around 15% of their generation costs meaning, we bit the bullet for another $10/11 million. Just the cost of the curtailed and grid-accepted wind and the losses on our surplus exports for those two days was $32/33 million for absolutely no benefit to any of us ratepayers. If every day of the year was like those two days last week, Ontario’s ratepayers would be shelling out over $6 billion annually, due to the abysmal planning and management of the electricity sector by the current Ontario government. Imagine how far $6 billion would go to improve our health care system. * This price reflects the 17% deferral under the Fair Hydro Act. With only one month left in the current year, the bad news on the electricity sector keeps getting worse. Well before the official sources such as IESO report on how much power industrial wind turbines generated and how much was curtailed (constrained, or paid for but not added to the power grid), my friend Scott Luft has published his estimates for both the former and the latter for the month of November. As he reports (conservatively), curtailed wind in November was over 422,000 megawatt hours (MWh) — that could have supplied 562,000 average Ontario households with free power for the month. Instead, no one got free power; the cost of the 422,000 MWh of undelivered wind power to Ontario ratepayers was $120/MWh. That $50.7-million cost for the month was simply added to the costs of the electricity bills ratepayers will be obliged to pay, while some of it will deferred to the future as part of the Fair Hydro Plan. No doubt the wasted wind power presented itself when it wasn’t needed; if it had been accepted into the grid, that extra power could have caused blackouts or brownouts, so it was curtailed. At the same time, much of the grid-accepted wind was exported to our neighbours in New York, Michigan and elsewhere, at discount prices! Curtailed wind for November 2017 compared to 2016 was almost 55% higher. How bad is it? Let’s review the first 11 months of the current year, compared to 2016. So far in 2017, curtailed wind is about 786,000 MWh higher (+33.8%) at just over 3.1million MWh. The cost of all the curtailed wind so far in 2017 is approximately $373.6 million, or $94.3 million more than 2016 costs. Translation: ratepayers will pick up the approximately $165 million cost of that waste via their electricity bills. Not only are we curtailing wind and spilling hydro, but we also steamed off nuclear power generated by Bruce Nuclear at the same time we pay for idling gas plants to back up intermittent wind and solar power generation. The cost of “greening” Ontario with unreliable and intermittent wind and solar keeps climbing, no matter what their proponents or politicians say. As ratepayers and taxpayers we should reflect on why 25% of the waste of the noted 7.6 TWh of undelivered power and its cost of $539 million (so far this year) is being deferred via the Fair Hydro Plan. And at the same time, we should recognize that we have experienced the worst possible planning in the Energy Ministry in the history of the province. The energy sector in Ontario needs real planning by experts that will provide real value for money and save ratepayers from paying more than $500 million a year … for nothing! That statement is included in CanWEA’s recently released brochure “The Secret is Out, Wind is in”. Had the unknown author(s) at CanWEA simply looked at the Ontario Energy Board’s (OEB) semi-annual Regulated Price Plan they would have noted Table 2 on page 21 of the April 20, 2017 report that the cost of a wind-generated kilowatt hour (kWh) in Ontario is shown as 17.3 cents ($178/MWh), as the cost of “curtailed” (not added to the grid) wind is also included as a cost input. Had the author(s) also simply looked at IESO data they might also have noticed that maybe wind energy costs are not continuing to fall! Saturday, November 25th was an example: it was a very windy day in Ontario with an especially windy night. Unfortunately for the wind power cheerleaders, our demand for power from 12 AM until 7 or 8 AM was relatively low, but the wind was really blowing. That meant the 4,200+ MW of wind capacity were running at 90% (approximately) of their capacity, at the same time as Ontario’s demand for power was hovering mid-way between 11,000 and 12,000 MW. That’s very close to what our nuclear plants can provide on their own without help from other generation sources. As a result, IESO ordered wind’s curtailment, hydro’s spilling and nuclear steam-off. At the same time, they were exporting whatever the market would take. So, all together on November 25, the IESO curtailed 35,600 MWh of grid-connected wind and accepted 30,600 MWh into the grid, while scrambling to prevent brownouts or blackouts by exporting about 50,000 MWh over the day. Industrial-scale wind power developers get paid $120/MWh for curtailed wind and $135 MWh for grid-accepted wind. Ontario’s ratepayers picked up the costs of almost $8.6 million for curtailed and grid-accepted wind power produced when it wasn’t needed. The cost of the grid-accepted wind (30,600 MWh) was therefore just over $280/MWh or 28 cents per kWh or, 10.7 cents more than the OEB reported back in April. On top of that, we ratepayers also ate the costs of spilled hydro, steamed off nuclear and the losses on the 50,000 MWh exported at a price close to zero.